As I mentioned last week, my family is just back from a week at Disney World. This time, we spent 3 days at the parks and 3 days on our first-ever cruise. It was everything a trip to Disney should be–fun, exciting, tiring, etc. Below I’m sharing 3 of my favorite photos from our trip. And, yes, a couple of them are my favorite because they flat out made me laugh! 1. 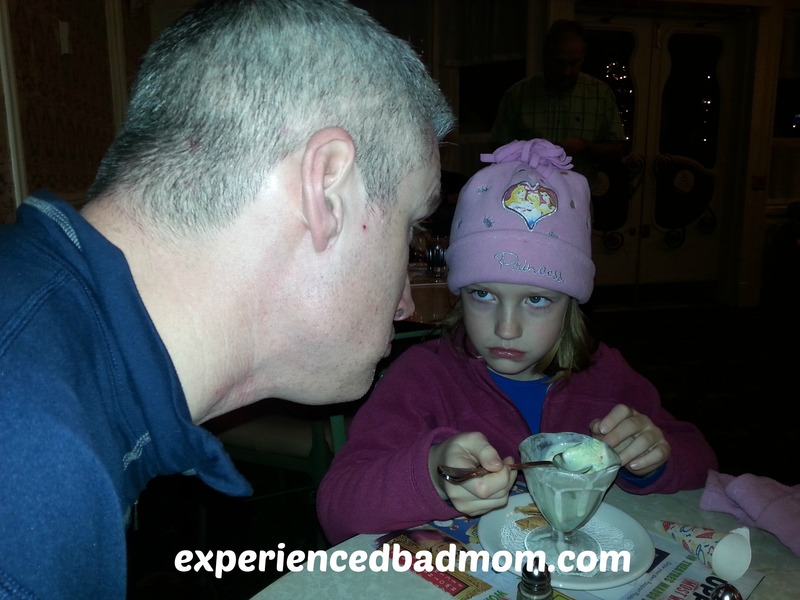 The time Dad wanted a bite of ice cream: Seriously, all Dad wanted was a bite of my 7-year-old’s ice cream sundae and clearly she wouldn’t have any of THAT! 2. 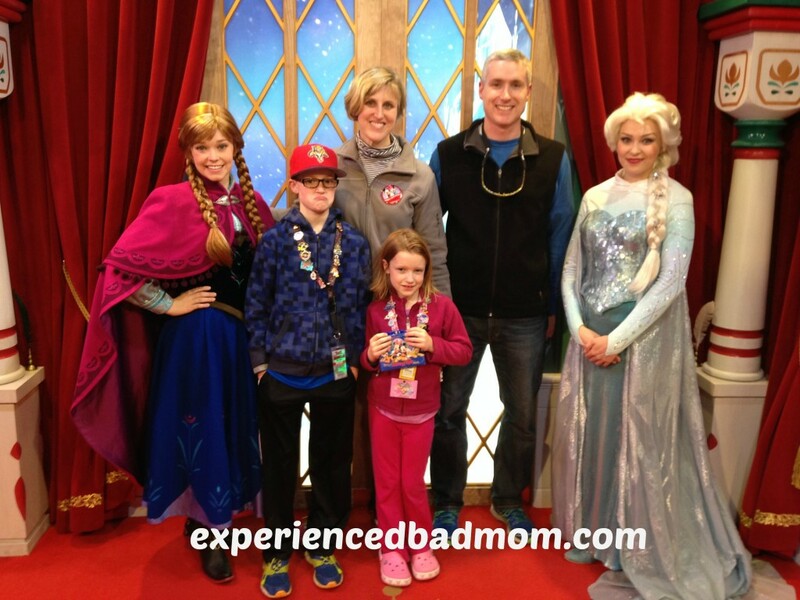 The time I made everyone, including my 10-year-old son, meet Anna and Elsa from Frozen: I stood in line almost 3 hours so my darling daughter could meet THE princesses from Frozen. After that much effort, there was NO WAY I wasn’t making the whole family go and meet them! Obviously, my 10-year-old son was grateful and thrilled. 3. The time we went on our first Disney cruise: Sandy beaches, impressive cruise ship, meeting Mickey and lots of other characters, and time together as a family. The Disney cruise was really great! Have you ever been on a cruise? Where did you go and how did you like it? We made them take 4 pictures just to make sure we had a decent one to commemorate the occasion. My son’s expression is identical in each picture! OHMYGOSH those pictures are HILARIOUS!!! Most definitely frame the princess one – you simply have to save that for his graduation party!!! Rabia @TheLiebers recently posted…Resolution Round-Up: How’s it Going So Far? Hahahaha, I give my husband that same look when he wants some of my food. Oh. my. word about the seagull! Yuck. Sorry. I have seen the best of times and the worst of times at Disney, too. I think it really offers the highest of highs and the lowest of lows there! Love! And agree; the cruises are awesome. We’ve been on the Magic (before the makeover) and the Fantasy. Plotting a third cruise for sometime in early 2015 . . . we’ll see. One thing I really love about the cruises is the limited number of people makes interactions much more personal. Mickey himself came and sat on the carpet next to my 8-month-old. My 3-year-old had a solid 5-minute conversation with Peter Pan. There’s just not time for that kind of stuff in the parks. And the staff (okay; cast members) on board are fabulous. Valerie, the cast members blew me away, too. So hard working and really giving you their attention. I can see why people have nothing but good things to say about the Disney cruises! Oh, how FUN!! I’ve never, ever been on a cruise, but maybe one day! 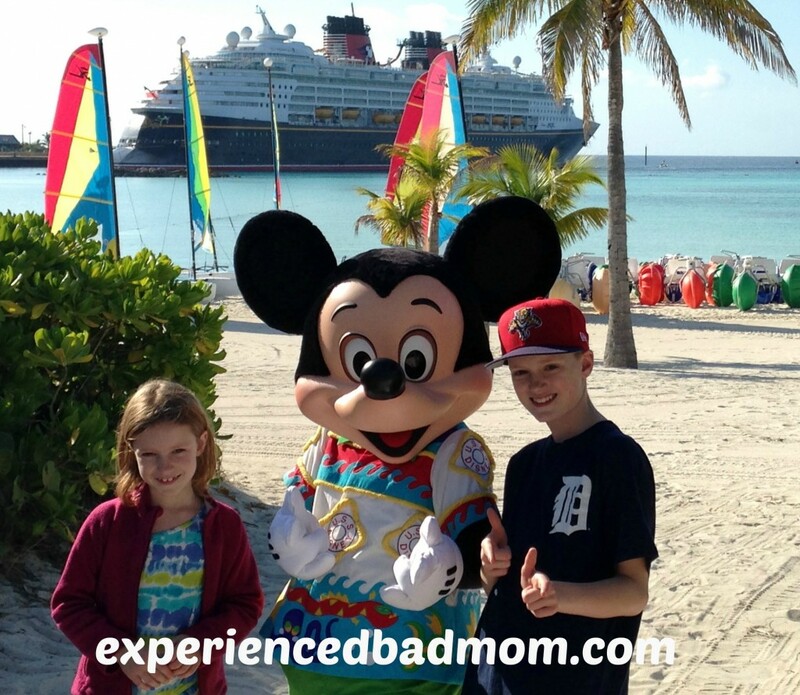 I have just heard the best things about them–especially Disney cruises! I love your daughter’s face in that top picture! That is way too funny! I’ve been on two cruises…I think if I ever go another I want to go on one where they dock in one place and you can explore more. I hate that you only get a few hours at the stops…it’s not enough time for me. I’d rather stay put in one place. I know, I’m weird like that.